Decide you really need a last minute spring break trip? We don't blame you! While spring break has begun in some parts of the world, most don't start until March, and go through the end of the month. Leaving you just a few weeks to plan you trip! There are still some fantastic last minute spring break trips available, but don't delay! They will be gone before you can say "spring break". Where's the party at? Panama City Beach! 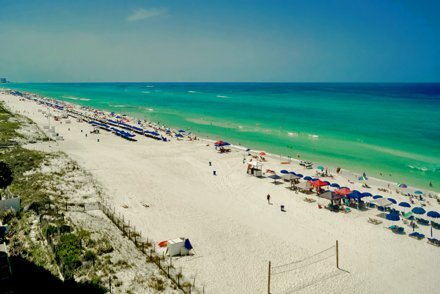 If you are looking for a hopping spring break, head to PCB! With miles of pristine white-sand beaches, gorgeous blue-green ocean waters, and endless opportunities for fun, you won't be disappointed. Tip: There are many lively beach parties during spring break, check the schedule here www.pcbeachspringbreak.com. 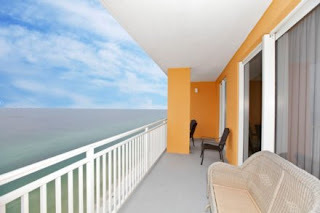 Here is a fantastic 2 bedroom condo in Panama City Beach that sleeps 8! That's just $213 a person for an entire week! 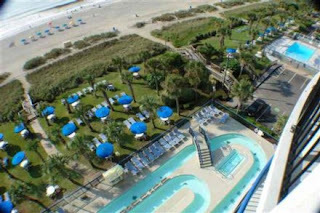 Such a great deal, and a fantastic condo with oceanfront views! The complex offers an adult only pool and hot tub, lazy river, fitness room, bar and grille, and much more. This is the perfect place to come home to at the end of your fun-filled days! This is a great spring break destination for both families and college kids looking to have some fun. There are many family friendly complexes that offer kid-friendly activities that everyone can enjoy. If you are looking for a more lively time, there are also areas of Myrtle Beach that are more for the "here for the party" spring breakers! Whichever type of spring break you are on, you will have a wonderful time in Myrtle Beach soaking up the sun and having loads of fun! This family-friendly vacation condo in Myrtle Beach is perfect for your last minute spring break trip! With kid pleasing amenities like a lazy river, indoor and outdoor pools, hot tubs, and an oceanfront restaurant. There is also a spa, if you need a relaxing massage, fitness center to burn off all that vacation fun, and a convenience shop in case you have forgotten anything! Miles of adventure are awaiting you in Virginia Beach! With soft sand beaches, a 3 mile boardwalk, hiking trails, nature walks, golf, and numerous water sports, Virginia Beach has it all. Come with friends, bring the entire family, we promise there is something for everyone in Virginia Beach! 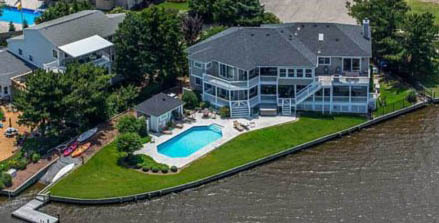 Grab the whole family and head to this great 6 bedroom waterfront pool home in Virginia Beach! Enjoy the private outdoor pool overlooking the inter-coastal way, watch the sea life play from the comfort of your deck, shoot a round of pool, and walk to the beach. This private vacation home has everything you need to make your spring break in Virginia Beach fantastic! Looking for a different destination for spring break? Perhaps Miami Beach, Mexico, The Bahamas, or Europe. Don't worry, we have you covered! We have over 70,000 vacation properties world-wide, making it easy for us to help you find a great last minute spring break trip. Not sure where to go? Contact our Travel Specialist! We love helping our customers find the perfect place for vacation!